Immature Bald Eagle perched on a boulder at the Yellowstone River in Montana. The boulder that the eagle was perched upon was larger and more colorful than the others. 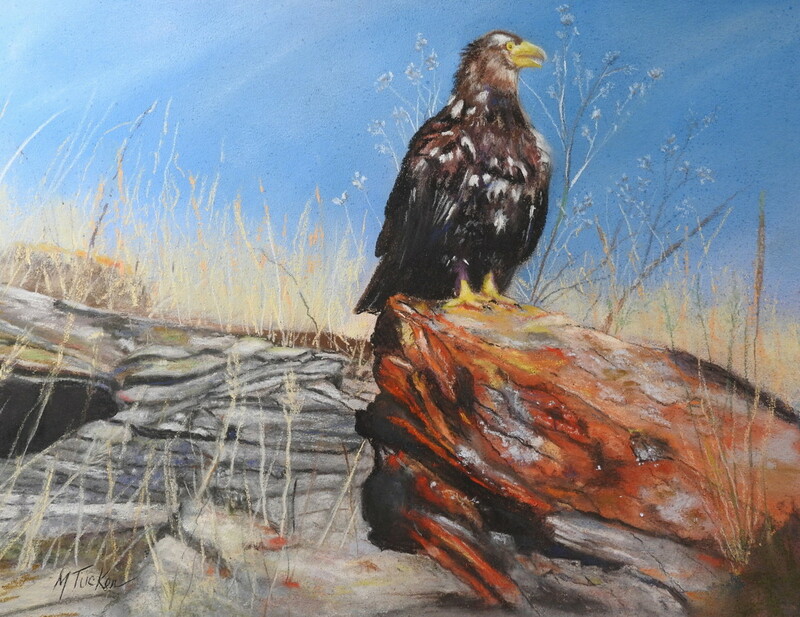 My desire was to emphasize the relationship with the eagle to the rock as a symbol of his place upon the earth. 5" x 6.5"6" x 7.75"7" x 9"8" x 10.5"9" x 11.75"11.75" x 15.25"